Joining Amerika Now during the first hour is entrepreneur, philanthropist, mentor, and author Alan C. Fox, who will be discussing his latest book, People Tools for Business: 50 Strategies for Building Success, Creating Wealth, and Finding Happiness in addition to his New York Times and USA Today bestselling book, People Tools: 54 Strategies for Building Relationships, Creating Joy, and Embracing Prosperity. We all want to be happy and successful at work and in our lives. Tonight, with refreshing candor, Alan Fox will share the invaluable lessons he has garnered over an extremely successful 45-year career, emphasizing why being right may be wrong…and other surprising strategies for success. Alan will offer great advice based on the countless lessons he has learned during a distinguished and profitable career. Whether you’re just entering the workforce or have been running a business for years, Alan’s advice will help you build the life and career of your dreams. In addition, if you’re trying to decide on whether to end a relationship or if it’s time for a career change, Alan will offer his wisdom on these life-changing events as well, speaking from the heart about time-proven techniques that will help you succeed, bringing joy and prosperity into your life. Fast becoming the most powerful new voice in personal growth, Alan C. Fox obtained success in fields as diverse as commercial real estate, philanthropy, and the arts. Alan attributes his accomplishments to what he has learned about building relationships and finding pleasure in everyday life. Tonight, Alan will speak openly about his life and how he has learned to use a myriad of People Tools., including “The Belt Buckle,” “Patterns,” “The Positive Self-Fulfilling Prophecy,” “Target Practice,” “Shrink the Glass,” “Stuff It into Your Sub,” and “Climb a Mountain.” He’ll also talk about why always being right is wrong and why being fired may be the best thing to ever happen in your career. Alan Fox has enjoyed a number of lifetimes during the past 72 years. He has graduate degrees in law, education, and professional writing. He’s the Founder and CEO of a company that owns and manages more than $1.5 billion in commercial real estate. He sits on the boards of several non-profit foundations, focusing on children, wellness, health and education. Alan is also the Found and Publisher of Rattle, one of the most respected literary magazines in the U.S., where his interviews with noted American poets, including several Pulitzer Prize winners, appear regularly. People Tools is the distillation of his experience in accounting, law, real estate, poetry, three marriages, and raising six children, two step children, and one foster child. For more information, visit http://www.peopletoolsbook.com. CALL 800-259-5792 TO SPEAK WITH ALAN C. FOX. Award-winning New York Times bestselling author Neal Shusterman joins the show during the second hour to discuss the fourth book in The Unwind Dystology series, UnDivided. Shusterman’s Unwind Dystology series centers around teenagers who are fighting the order to be unwound, which means that unwanted people between the ages of 13 and 18 can have their body parts removed and harvested to be used in other people. In this sense, people who are unwound never really “die,” as their parts continue to live on in other people. In the books, this practice has become the basis of society and a big profit maker for big business, while a growing number of people are against this lifestyle for a number of reasons. In the latest book, UnDivided, a teenager named Cam has been created completely from the parts of unwound teens, making an entirely new person, The company that created Cam, Proactive Citizenry, wants to mass produce these types of people for military purposes. In addition, this group has been suppressing technology that could make unwinding completely unnecessary. Meanwhile, another group made up of unwanted youths, known as “storked teens,” are growing more powerful. And if they have their way, they’ll burn the harvest camps and put every adult in them before a firing squad, which would force the country into another devastating civil war. Tonight, Shusterman will discuss topics including what this series Unwind is about, where he got the idea of harvesting organs from teens for use in other people, the implications of such a practice on our world, and how close we are to this type of technology. 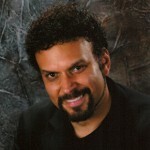 Neal Shusterman is the New York Times bestselling author of more than 30 award-winning books for children, teens, and adults, including The Unwind Dystology, The Skinjacker trilogy, Downsiders, and The Schwa Was Here, which won the Boston Globe-Horn Book Award for fiction. Several of his books are now in development as major motion pictures. In addition, Neal also writes screenplays for motion pictures and television series. He’s written for the Goosebumps and Animorphs TV series, and wrote the Disney Channel Original Movie Pixel Perfect. Currently Neal is adapting his novel Everlost as a feature film for Universal Studios. For more information, visit http://www.storyman.com. CALL 800-259-5791 TO SPEAK WITH NEAL SHUSTERMAN. Trusted psychologist, therapist, lecturer, and award-winning radio host Dr. Daniel Gottlieb joins the show during the final hour to discuss his book, The Wisdom We’re Born With: Restoring Our Faith in Ourselves. What if the things you imagine will make you happy won’t—if what you really need is not what you think you need? These days it seems like most people suffer from living a “too-hurried life.” We get so busy with superficial things we don’t take time to truly experience the awe of life, like children naturally do. Even though we’re born with the ability to experience joy, love, compassion, trust and, yes, especially awe, life intervenes. So how do we get from want we HAVE to want we WANT…peace, joy, and love? With his unique wisdom, openness, and honesty, Dr. Daniel Gottlieb will remind us all tonight that we’re not alone in our struggles. He offers a path back to a perspective that every infant intuitively understands, but one that is often lost on the road to adulthood. He’ll offer his thoughts on breaking patterns and habits, calming the unquiet mind, living in the moment, and above all, the importance of love. Daniel Gottlieb, a practicing psychologist and family therapist, is the host of Voices in the Family on WHYY, Philadelphia’s National Public Radio affiliate. From 1993 until 2008, he wrote a highly regarded column for the Philadelphia Inquirer called Inside Out, reflecting his perspective on world events and the ways we experience them. He is the author of five books, including the bestselling Letters to Sam and Learning From the Heart (winner of the “Books for a Better Life” Award), which have been translated into 18 languages. A columnist and radio host, Gottlieb also lectures locally and nationally on topics related to personal and social well-being, helping individuals and families find a greater sense of fulfillment and community. The author’s royalties from sales of his book, The Wisdom We’re Born With, will be donated to the Khulani Special School, Mduku Community, Kwazulu Natal, South Africa. For more information, please visit his website at http://www.DrDanGottlieb.com.